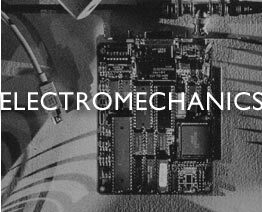 Medlen & Carroll, LLP's Electronmechanical Group assists clients in obtaining legal protection for a wide variety of electrical, mechanical, electro-mechanical and electro-chemical inventions. Such devices and processes include, for example, medical devices, tools, semiconductor processes, electromechanical devices, batteries, heavy equipment for manufacturing and packaging, consumer products, vehicles and components for vehicles and software. The type of protection required depends on the nature of the technology. The firm has considerable expertise in the patenting of medical devices, including but not limited to, implantable devices and surgical tools. The issues involved in patenting the use of such devices has become more complicated given the 1996 amendments to the patent laws (i.e. 35 USC 287) which render certain claims directed to surgical procedures unenforceable. Given these changes, Medlen & Carroll, LLP attempts to develop a plan with clients who desire medical use claims, such that enforceable patents are obtained which give the maximum protection under the law. Producers of goods often develop valuable, proprietary manufacturing processes, tools and equipment. We assist our manufacturing clients in identifying their novel inventions and determining whether the inventions are best protected as a trade secret or by obtaining patents. Inventors can acquire patents for semiconductor devices or processes, as well as for the equipment to carry out such processes. New structures for known devices or new devices can also be protected. Process patents can be obtained for an entire process, a sequence of steps or a single step. We can assist clients in obtaining patents for aspects of semiconductors and, in particular, semiconductor manufacturing. Inventors can obtain patents for numerous aspects of an electromechanical device or machine including the configuration of the apparatus or its function, as well as for the control electronics or interface which operate the device. The ergonomic aspects of such devices is also protectable. The firm prepares patent applications for such devices on an ongoing basis. Software can be protected by patent, copyright and/or trade secret law. More than one form of protection can be used simultaneously to protect software. The legal scope of patent and copyright protection for computer software is still evolving in the courts, the legislature and the Patent Office. We follow these changes closely in order to assist software developers in securing the strongest protection possible for their inventions. Consumer products can be incredibly diverse, spanning multiple technologies. Obtaining adequate protection for consumer products requires intimate knowledge of all aspects of intellectual property law, as well as the marketplace in which particular goods are sold. We assist our clients in securing appropriate market-driven, intellectual property protection. Disclaimer: This website is provided for informational purposes ONLY. It is not a substitute for obtaining legal advice. Neither reading the information provided nor contacting us via Internet e-mail creates an attorney/client relationship. Please do not e-mail us any confidential information. If you are seeking legal counsel, contact us by telephone.